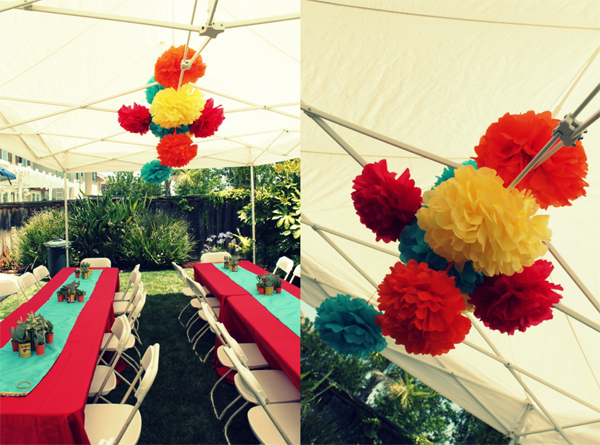 This 1st birthday fiesta from Linsey of Lux is full of bold and fun details. The interplay of reds and aquas is simply perfect, turning old world tradition into a modern occasion. 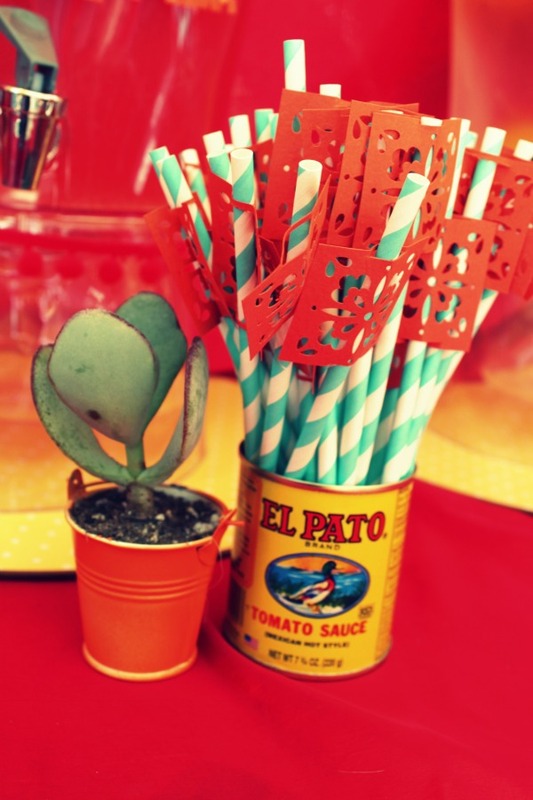 Also, succulents in El Pato cans might just be my new favorite centerpiece. 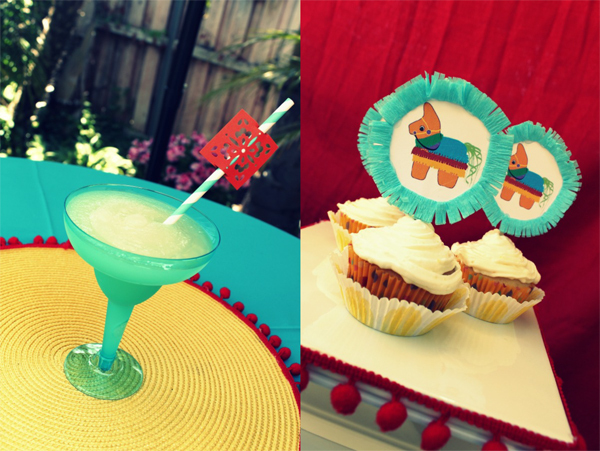 From Linsey: I was so excited to plan a baby fiesta! The theme of this party was "Fiesta and Fun, Connor is 1". 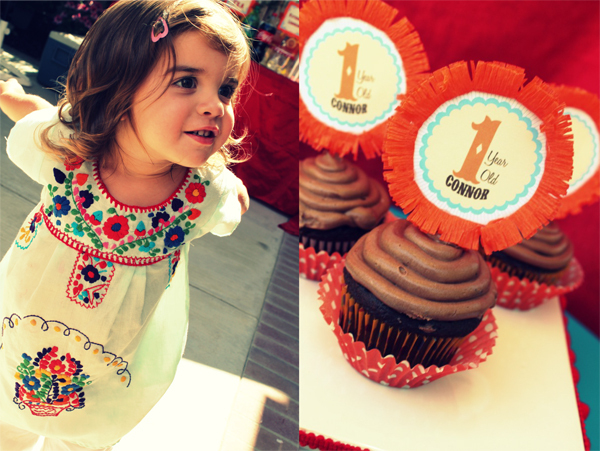 We took all the traditions of a Fiesta and made them more playful for Connor's 1st birthday. The color palette was red, orange, aqua, and yellow. 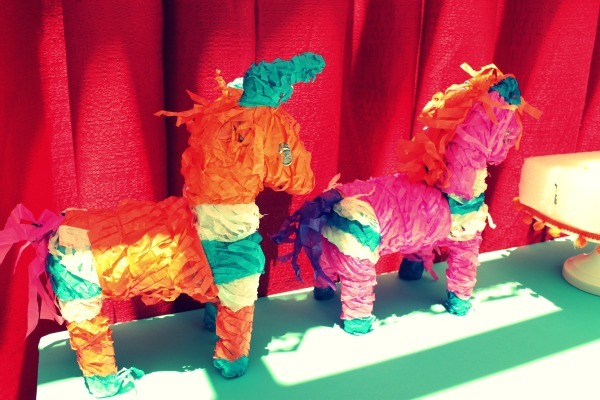 I took the inspiration for this party from Pinatas. We recreated the pinata fringe throughout out the party. We made custom cupcake picks trimmed with fringe. To do this you can use crepe paper streamers. We folded the streamers and then used scissors to cut it. 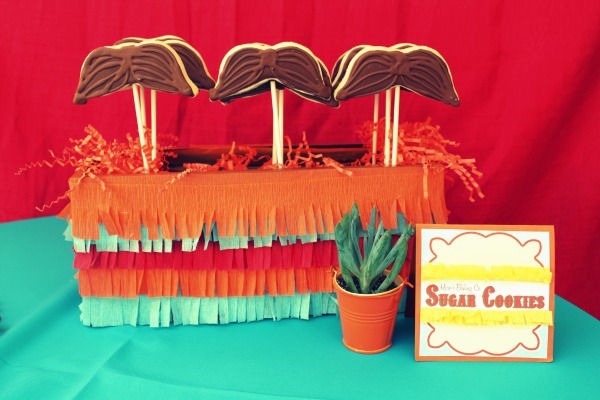 The fringe was also used on the beverage dispensers and the cookie displays. 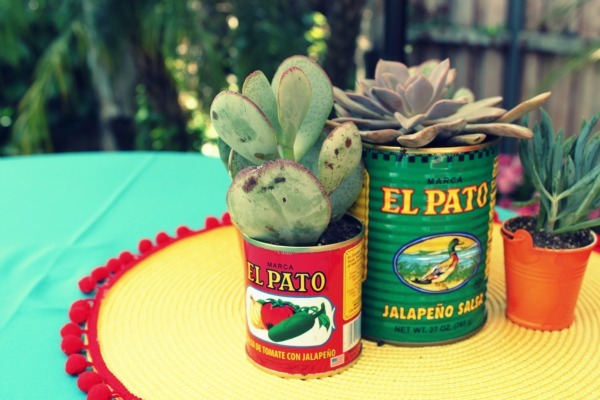 We purchased El Pato cans from the .99 cent store and used them to plant succulents in. We purchased mini pinatas from a local party supply store and had a large pinata for the kids. For food we hired a local taco man. He prepared chicken, steak, and pork tacos and served them with rice and beans. There was also a salsa bar with fresh made salsa. For the adult beverages we had several different Mexican Beers and also had the Margarita Man. For the kids, we prepared watermelon lemonade. It was very refreshing. The straws were adorned with individual papel di picado. To make this we purchased a punch from the Martha Stewart Craft line. 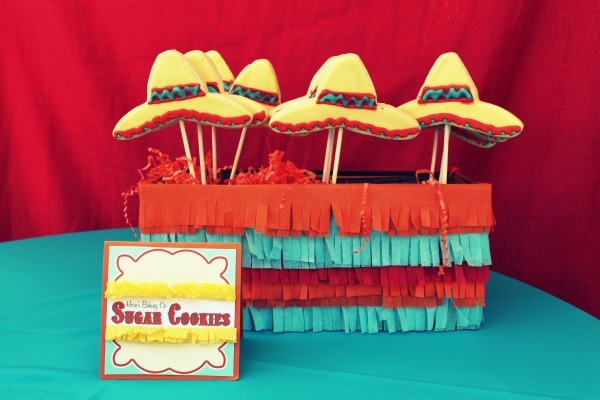 The dessert bar hosted Hero's Baking Co. sugar cookies and Mexican wedding cookies. 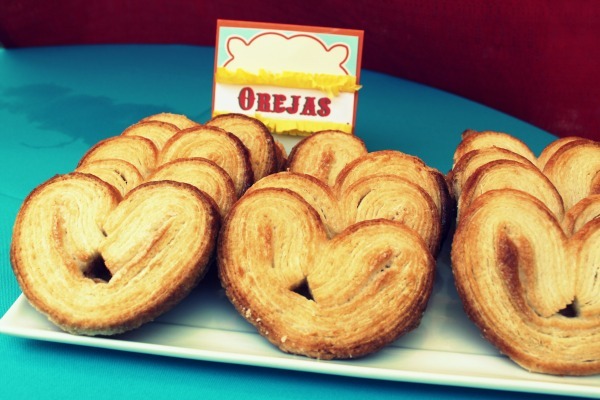 We purchased the Orejas (Palmiers) from the local Mexican Market. Connor's aunt made the cupcakes!